Most people don’t like to admit when they’ve made a mistake, but I’ll ‘fess up…I made A LOT of mistakes when I started my online businesses. Especially marketing mistakes. But that’s how I learned what worked to get more traffic to my website and more customers and what didn’t. 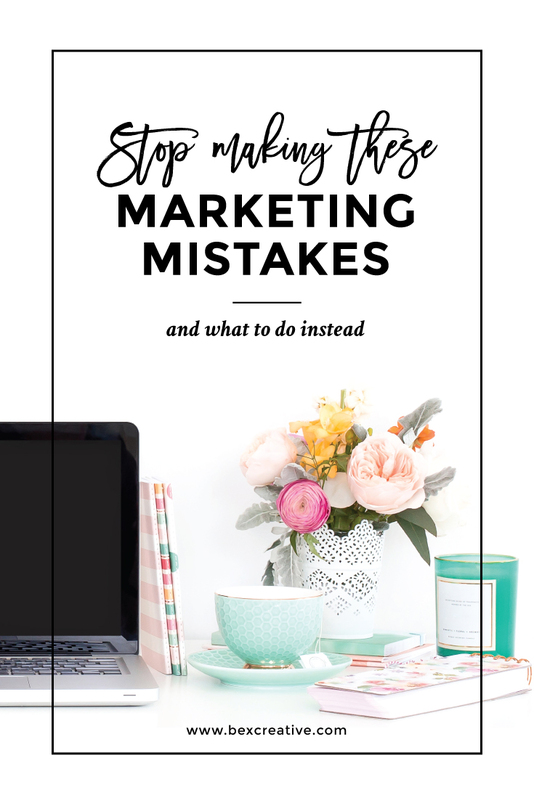 So here are the top 3 marketing mistakes that I see a lot of online businesses make, and what you should do instead. Maybe you heard some guru say that you need to be posting on Facebook twice a day, tweeting several times a day, pinning regularly, posting beautiful images on Instagram, and showcasing videos on YouTube. But who has time for all that?? You will burn yourself out trying to be everywhere, all the time. And it’s not helping your business. Burnout one of the biggest marketing mistakes you can make, and you definitely want to avoid it. I’m giving you permission right now to stop posting on ALL of the networks. Seriously, stop it. Now, choose one or two at the most and concentrate on those. But which ones do you choose? Well, which ones do you enjoy creating content for the most? Do you like creating and posting beautiful images? Stick with Instagram. Do you like making videos? Then maybe Youtube is your thing. However, don’t just use it because you like it. That’s just one piece of the puzzle. You need to make sure these networks are where your customers are hanging out. To figure this out, I recommend you check your Google Analytics (you have that set up, right??) and see what social networks are referring traffic back to your website the most. Are you getting a lot of traffic from Pinterest? Is Facebook converting those customers? See what’s working on concentrate on those channels. Then later you can expand to other social networks. If you’re just starting out and don’t have any analytics data yet, then just do some research. If you’re in the wedding industry, visual platforms like Instagram or Pinterest work well. If you can show how to use your products in videos, like a fitness or beauty product, then try out YouTube. Facebook has 1.8 billion active users and a sophisticated ad system to target those users. So it makes sense that if you spend some money on Facebook Ads, you’ll get customers, right? But unless you know what you’re doing, it’s really hard to create Facebook Ads that actually convert. You just end up wasting a ton of money and feeling disheartened. Trust me, I’ve been there too. I’m not saying you shouldn’t ever use Facebook Ads, but be more strategic when using them. Don’t just send cold traffic to your website. Warm them up first with some valuable content like a blog post or promote a giveaway. Then get them on your email list and into a sales funnel. You can also retarget ads to people who have already visited your website. And what’s great about these tactics, is that they cost less per click than driving that cold traffic. So you get more engaged customers for less! One of the biggest regrets I hear from entrepreneurs all the time is that they didn’t start building their email list from the start. I did the same thing with Crafty Pie. 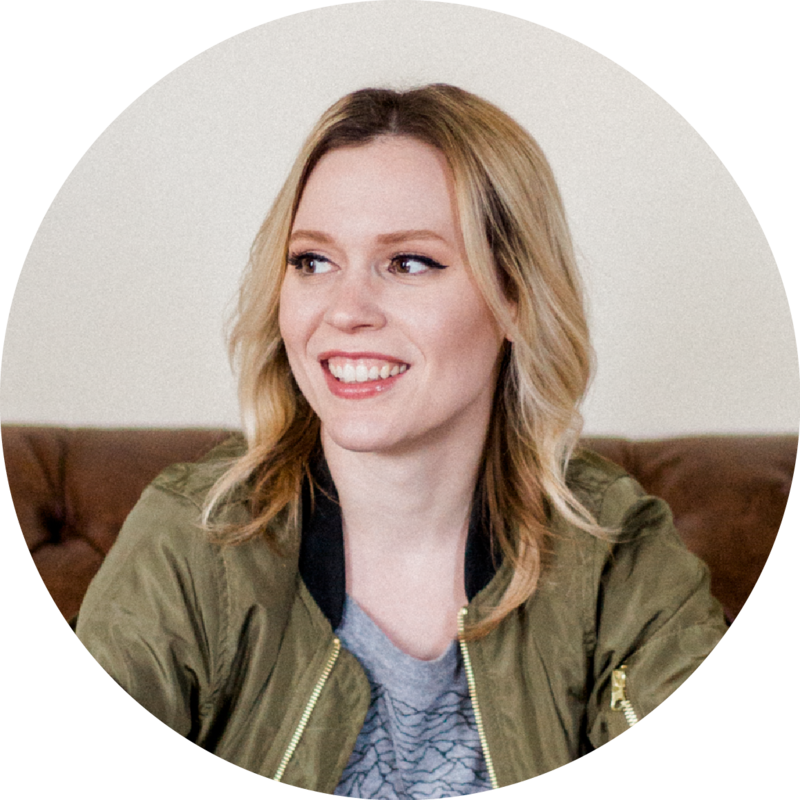 When I first started, I created a list in Mailchimp but never did anything to promote it. I missed A LOT of opportunities to capture emails, which was a huge marketing mistake. When I think back on it, I should have asked for emails in exchange for all of the free printables I had on the blog. Or instead of having people leave a comment to enter a giveaway, they should have had to opt-in to the email list. I also didn’t have an email autoresponder in place for the longest time, which meant I was missing out on more sales. But you can learn from my marketing mistakes. First step…if you’re selling anything online and don’t have an email list, go set one up now. I highly recommend Klaviyo if you sell physical products or ConvertKit if you’re a solopreneur, blogger, coach, etc. Then, once you have your list set up, create an opt-in for your website and put it in at least 5 places throughout your website to increase your sign up conversions. Put it in a header bar at the top of your website, add it to the sidebar of your blog, at the end of relevant blog posts and in your footer. Then you need to entice them onto your list with some sort of opt-in freebie or incentive like a coupon code, free guide, email course, resource or something else related to your product, service or niche. “Sign up for my newsletter” just isn’t going to cut it these days. People receive an average of 88 emails per day, so you need to give them something of value in order to get them to sign up to your list. After you set up your list, create an email welcome series. This is a series of emails that welcomes the person to your list, gives them their freebie and then you can continue to send another email automatically after a few days of them receiving the last one. These emails can be more valuable content, information about your brand, cross sells of other products, social proof like videos, press or reviews. Why Is Branding Your Online Store So Important?